Guess who got a bit handsy at a celebrity photo call? 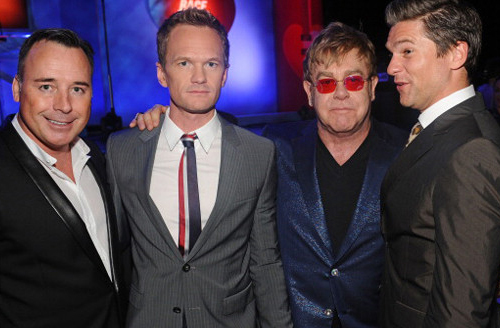 Apparently Elton John's husband David Furnish cop a feel of Neil Patrick Harris's nice firm buns at the 'Race to Erase M.S.' gala fundraiser photo call last Friday night in Los Angeles. Now that would explain the uncomfortable look on NPH's face!!! NPH is always such a smiley guy. He sure does not seem amused at all... My, will Elton be pissed off! But seriously, I would be tempted too. Love NPH!! !